We couldnt be happier with our new fence and the landscaping looks wonderful. We highly recommend Harold Projects as they are brilliant to work with. Harold Projects are licenced builders who have been servicing the Brisbane, Ipswich, Logan and Redlands areas for over 20 years. 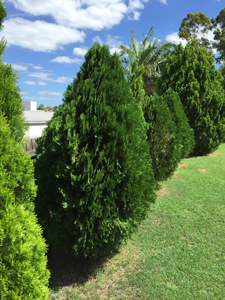 Installing new and replacement Timber, Concrete and Colorbond fences, Retaining Walls and Landscaping.